Thank you for submitting the queries. Here are the answers. 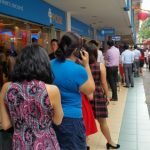 Not sure how this feng shui principle started, there are people who will queue up just to deposit their money at Bank on the Chinese calendar of spring season commencement 立春 which is generally on the 4th or 5th February every year. There were no historical proof nor any classical feng shui principles backing the claim that such ritual will grow one’s wealth and ensure good luck. It just make no sense that you withdraw money from a prior date and deposit on li chun day. Any child will know that taking money from your left pocket and put it into your right pocket doesn’t increase the amount of money? Try working harder and upgrade your skills this year stand a better chance to increase your income! This is one of the many weird things that Singaporeans do, perhaps imparted by some masters of Singapore feng shui to create publicity or drama. 犯太岁 or clashes with the Year Zodiac (Grand Duke), is not necessarily bad. It merely means that you will undergo some major changes in your life e.g. relocation, wedding, overseas, new assignment. Wearing something red does not dilute fan tai sui impact, lucky colour if you believed depends on your Birth profile Lucky elements 八字喜用神. The rationale to use the direction of building windows as orientation for house feng shui is based on “yang” energy (以阳为向), so said those who practised. Their theory is that the main door for most condos or HDB usually faces a wall without sunlight. It sound logical at face value. But how many of us climb through our window to come home? There is only one profile that fits this description i.e. “the burglar”. i reiterated many times, one should approach feng shui from a holistic viewpoint i.e. 天 astronomy, 地 geography/environment, 人 human activities in harmony. Jumping to conclusion that window is the main 纳气口 – air/sunlight (no human traffic involved) as the basis to determine home feng shui orientation is doubtful. Masters who support the “window” theory, does not understand the meaning of “qi 气” in feng shui terms. One need to appreciate chinese culture and it’s language. Qi should not be interpreted as “air” literally, therefore throughout my website i used the term “energy” instead of air, to avoid misrepresentation for the english reader. In feng shui there are 2 main types of qi which are yellow & white 黄白二气 (but will not expand over here because it is lengthy). Why ignore the human aspect which is the most important part of fengshui. We inhale oxygen, exhale carbon dioxide, move around to grab our morning coffee i.e. 动气, why not factor that in? Every day we come back from work, drive into the carpark, parked our car, move through corridor, get on the lift, walk into our house…all these daily movements are important in feng shui. It iChing “吉凶悔吝者，生乎动者也” it says anything in motion cause positive or negative energies in the house. Perhaps using an example is easier to understand, one day you got promoted, smiling from ear to ear, so you bring in positive energy into the house that day. The reverse is true if you are having a bad day at the office. Without the human factor is just 4 concrete walls known as a house not a home. In fact the debate to use the main door or window as the key direction to identify the destiny of the home feng shui was concluded many, many years ago through real life experiments. Authentic feng shui from Chinese classics stress the importance of “main door” and “roads” not because those days they don’t have windows. Below are principles extracted to support the importance of door and roads for those who can understand Chinese better. The myth is it will “drive away the God of Wealth”. Think about it this way if the shoe rack and shoes are not going to place at your door entrance where else can we place our shoes? The only thing i can concur is that you have concern with hygiene by dusting your shoes before place in the cupboard and have something to remove the foul smell if you have lots of shoes. This comes as a surprise to me because, Singapore is pretty warm and humid and having a ceiling fan does keep the temperature down. The argument is that you are unable to “contain” the 气 air in the house. Problem is there are negative and positive “qi” so are you “containing” the positive ones or the negative ones ? And the fact is one should have a ceiling fan or air condition at the “wealth” sector because it helps to “distribute” the “财气 wealth energy” into the entire house isn’t that nice? If you want to “enclose the positive energies” why not use “living water”? The great grandmaster of feng shui 郭璞 quote “气乘风则散，界水而止” so if you place the water correctly it will enhance your wealth why worry about 穿堂风 exaggerated by youtube feng shui drama. Just remember this the positive one must be active 旺则动, the bad ones passive 凶必静 which again makes common sense. Playing “down” the weakest link. It is a myth to choose an auspicious date to collect your keys or first time opening the door of your house. The reason is simple, you have not stay in the house and there is no consequences of the home feng shui energy affecting you. This is only necessary if this is an old house or some bad stuff happened before. As for new house such as BTO it is unnecessary to do so. I do not perform such ceremony or custom.